Journal of Immunological Techniques and Infectious Diseases (JIDIT) is a scholarly peer-reviewed academic journal that encourages rigorous research that makes a significant contribution in advancing knowledge for immunological application in the treatment of various infectious diseases. JIDIT includes all major themes pertaining to Immunity, Immunization techniques, Vaccination, Epidemology and treatment of infectious diseases. 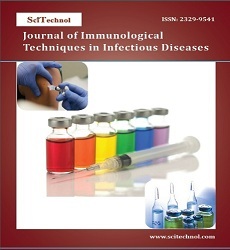 Journal of Immunological Techniques in Infectious Diseases is a peer reviewed scientific Journal that provides a range of options to individuals and university libraries to purchase our articles and also permits unlimited Internet Access to complete Journal content. However, JIDIT has recently started following Hybrid Model of publication of articles. Under hybrid model, journal is giving option to authors to choose their mode of publishing; either Open Access (making individual articles freely available online) or Subscription (article access restricted to journal subscribers). JIDIT accepts wide range of articles including research, review, short communication, case report, rapid communication, letter to the editor, conference proceedings etc. The journal has a sound Editorial Board of experts in their fields. Articles submitted by authors are evaluated by Editors and a group of peer review experts in the field to ensure that the accepted and published articles are of high quality, reflect solid scholarship in their fields, and that the information they contain is accurate, reliable and beneficial to the scientific community. JIDIT uses Editorial Manager System for quality review process. Editorial Manager is an online manuscript submission, review and tracking systems. Authors can submit and track the progress of their articles through the system. Manuscripts along with cover letters can be submitted to the journal via Editorial Manager System or via online submission system or as an e-mail attachment to the Editorial Office at [email protected] or [email protected]. Authors can also track the status of their manuscripts post submission through our manuscript tracking system. Infectious diseases whose incidence have increased to a great extent or having a threat to increase future are defined as new emerging infectious diseases. HIV, Hepatitis C, Ebola infection, E. coli infections are the most threatening new emerging infectious diseases. Epidemiology of Infectious Diseases is the branch of medicine dealing with the incidence, distribution, and possible control of diseases and other various other factors relating to Epidemiology of infectious diseases. 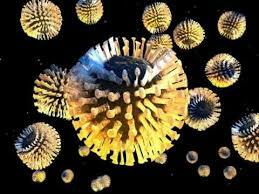 Pathogenesis of infectious diseases deals with the manner in which a disease develops and its spread in the body. Pathogenesis of infectious diseases also deals with the cellular reactions and other pathologic mechanisms occurring in the development of disease. Transmission of infectious diseases from person to person occurs by direct or indirect contact. Transmission of Infectious Diseases also occurs by bites from insects or animals. Viruses, bacteria, parasites, and fungi are the major causes of infectious disease. Diagnostic Techniques : Advancements of infectious disease include application of various modern diagnostic techniques for the identification of infectious agent causing the disease and studying the epidemiological considerations and pathogenesis of the disease. Airborne diseases are the diseases caused by pathogens which are transmitted through the air. Air borne diseases result from inhalation of contaminated air and also by transfer of pathogen from one person to another using air as the medium. Waterborne diseases are caused by pathogenic microorganisms that are transmitted from contaminated fresh water and Water borne infections commonly result from drinking and usage of contaminated water for daily purposes of bathing, cooking, washing etc. Non-communicable diseases are the diseases that are not transmittable from person to person or from animals to person. These are usually the chronic diseases which last for a longer time. Communicable diseases are the diseases that are transmitted from one person to another through direct contact indirectly through a vector.Communicable & Non Communicable Diseases can be dangerous and fatal. Epidemic diseases are the diseases which rapidly spread to a large number of people within a short span of time and epidemic diseases are fatal. A pandemic disease is a global outbreak of a particular disease.AIDS is an example of one of the most destructive global pandemic disease. Pathogenic microorganisms are the organisms which have the capability of causing disease in a particular host. Common examples of pathogenic microorganisms include specific strains of bacteria like Salmonella, Listeria and E. coli, and viruses such as Cryptosporidium and many other types of fungi. Immunology is the branch of science concerned with the various aspects related to immune system, innate and acquired immunity and immunology also deals with laboratory techniques involving the interaction of antigens with specific antibodies. 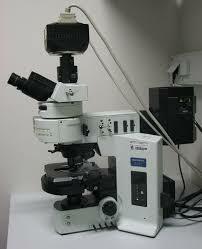 Microbiology is the branch of science dealing with the study of various microorganisms. Microbiology involves the study of their structure and various physical, chemical and biological characteristics pertaining to their capability to cause a disease. Infectious Diseases & Immune Responses involves the responses of immune system during the attack of a disease and Infectious Diseases & Immune Responses studies the fighting mechanisms upon the invasion and replication of various microbial agents - bacteria, viruses, fungi, protozoans, and worms as well as reacts in the toxins they produce. Immunopathology is the sub discipline of Immunological sciences dealing with the immune responses associated with disease. Immunopathology includes the study of the pathology of an organism, organ system, or disease with respect to the immune system, immunity, and immune responses. Immunological Sciences deals with the branch of science studying the components of the immune system, immunity from disease, the immune response, and immunological sciences also deals with all the immunologic techniques of analysis. Clinical immunology deals with the study of diseases caused by disorders of the immune system. Clinical immunology also deals with the diseases where immune reactions play key role in the pathology and clinical features of the disease. Experimental immunology investigates immunological responses to antigens and includes the studies related to detecting and characterizing antibodies and lymphocytes. Vaccination and immunization techniques are the major ways used for the prevention of several fatal infectious diseases in humans and animals. Vaccination and immunization techniques help in strengthening the immune system and produces antibodies which can fight against the antigens produced by the pathogens causing diseases. Vaccine development is a very long, complicated and tedious procedure including several complex processes usually lasting for 10-15 year. The various stages of vaccine development of a vaccine include exploratory stage, pre-clinical stage, clinical development, regulatory review and approval, manufacturing and Quality control. 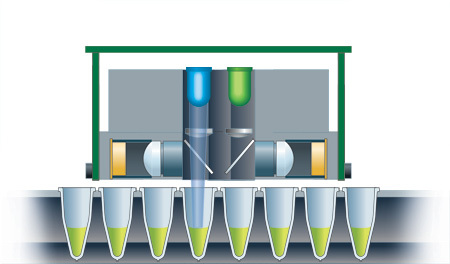 The developed vaccines undergo a series of vaccine testing and regulation procedures before their final approval and marketing. Several vaccine testing and regulation procedures are involved in all the aspects of vaccine development, manufacturing, and marketing. Regulations pay a key role from the time of vaccine design and clinical testing, manufacturing and to when the final product is marketed worldwide.